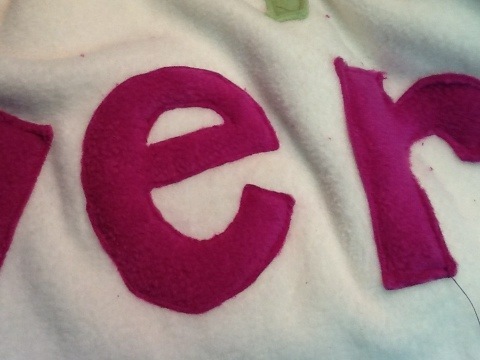 Polar fleece baby blanket | ARTZCOOL'S BLOG! 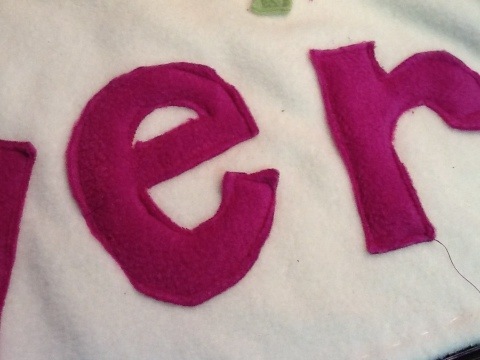 A good friend of mine just had a baby, and whenever there is a new baby, I do my best to try to make something personal… One of my favourite things to make is polar fleece blankets. 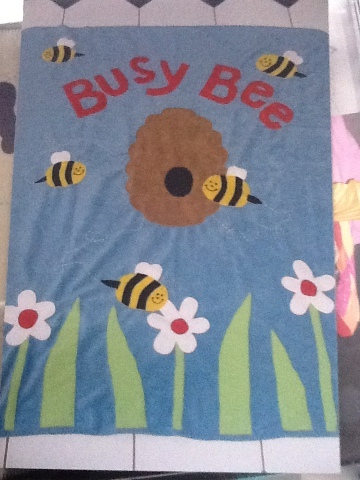 I make them a smaller size for babies, so they don’t take as much time as a full size quilt. 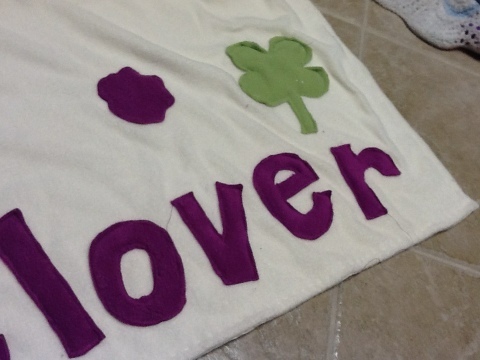 I will show you a couple tricks to sewing with polar fleece. 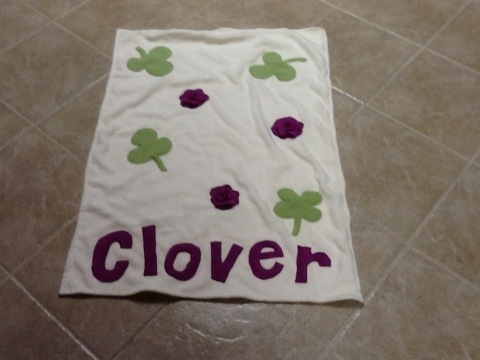 I will also see if I can find some photos of other blankets I have made. For this particular blanket, I decided to make it a little thinker to be warmer, so I lined it with a plain beige knit. 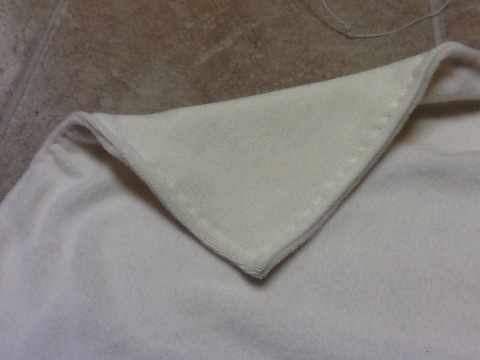 I sewed the two pieces of fabric right sides together. 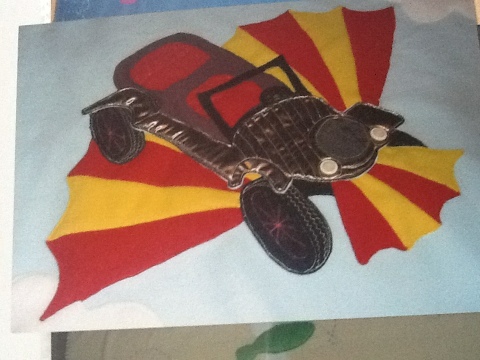 Then I turned the fabric right sides out and hand stitched a line around the perimeter of the quilt. 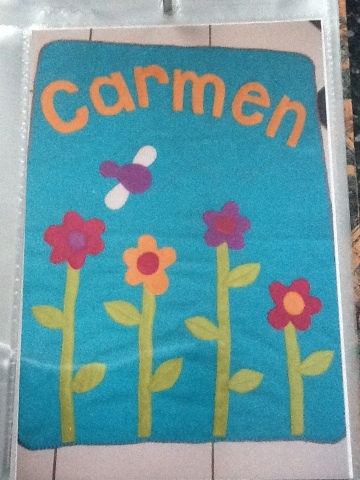 I normally just turn in the edges or do a blanket stitch around the outside to finish the edges. Here is a close up. I could never figure out how other people’s blankets had such perfect stitching…I will let you in on the secret, that took me years to figure out. 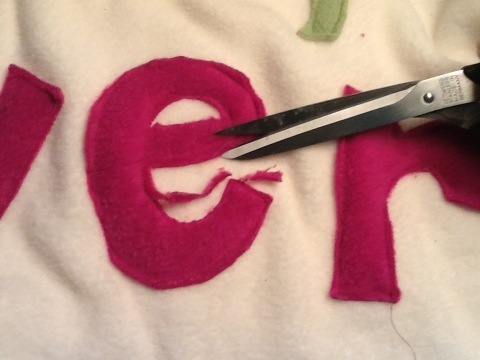 After you finish sewing, use a pair of sharp scissors to trim around the fabric. Look what a difference it makes…. So you can see that trimming around your stitching makes it look so much neater and cleaner. 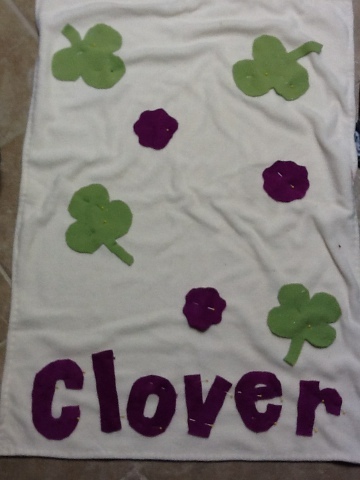 Let’s see if my idea for the clovers works out… I have cut three layers of the clover shape, on large, one medium, and one small. I sewed around the perimeter and trimmed the largest one, then I am going to try to sew all three layers together in the center. 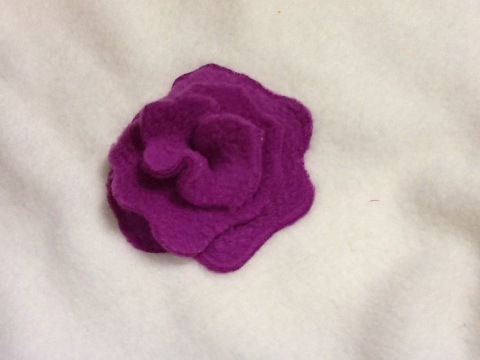 Not bad, although I think they might make better roses! 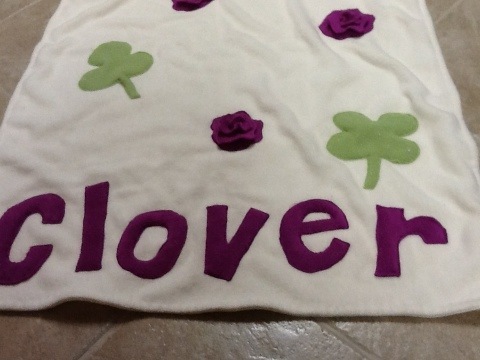 Ok, I dug up a couple photos of a couple other blankets I have made out of polar fleece.